Retrospective of films directed by Rakhshan Ban-Etemad. Rakhshan Bani-Etemad is not simply one of Iran's leading film directors but one, according to Sheila Whitaker, deserving of a place in any history of international cinema. Yet, outside of festivals, she has largely been ignored in the UK. Here's the opportunity to find out just how much we've been missing. Rakhshan Bani-Etemad has been a major figure in Iranian cinema for over 20 years and given equivalent status on the international scene since 1991, when Nargess appeared at international festivals, including London. The mystery is why this accomplished film-maker, duly feted elsewhere in the world, has been largely ignored in the UK. She is a leading, not to say pioneering, figure in an alternative Iranian cinema. Not that her films have lingered on the margins - with the exception of Foreign Currency they have all been domestic box- office hits. 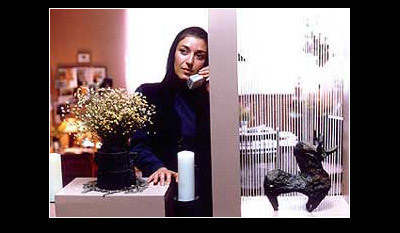 But whereas the popular cinema largely (re)confirms the Islam of the Iranian state - and particularly the position of women - and leaves social ills unquestioned, her films consistently critique the status quo. She intended training as an architect but then decided to work in film, beginning as a television script girl whilst studying film at the College of Dramatic Arts. After working as a TV reporter, she began her career behind the camera in 1984, researching and documenting the socio-political issues which were defining the lives of the poor and underprivileged. It is these concerns - and the unambiguous contesting of patriarchy - that inform all her fiction films. Her early scripts were refused: one, dealing with Touba and her children, was based on an actual woman who Bani-Etemad later included as herself in The May Lady. As a result, her first three features were not her original scripts and, although their subject matter clearly appealed, she substantially re-wrote them. Work on her personal projects began with Nargess, and these, unlike her first films which profiled male characters, were to profile women who, whilst victims of society and patriarchy, also resist and survive. 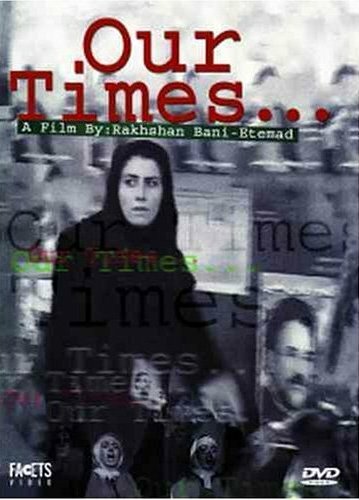 Bani-Etemad's fictions are also notable for the documentary influences within their visualisation (and her documentaries for their creative strategies). Thus it is that her preoccupations - the foregrounding of a society blighted by extreme poverty and the subversion of patriarchy and the Oedipal in a culture which actively seeks to deny and repress female sexuality - and their cinematic realisation have resulted in a truly remarkable series of complex and courageous films. Comic exploration of the serious issue of rural-urban exploration. Satirical look at Iran's rampant inflation and fixation with foreign currency. 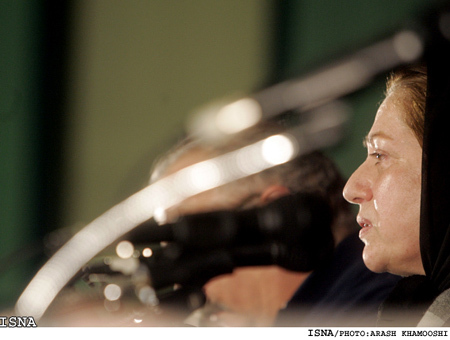 Rakhshan Bani-Etemad boldly confronts the Iran-Iraq war. Powerful drama and an accompanying documentary dealing with drug addiction in Iran. Poetic film about motherhood, plus a tribute to a celebrated actress. First in a thematic trilogy dealing with parents, children and sexuality. Fine addition to the genre of satiric portraits of bureaucracies and bureaucrats. Fascinating portrait of Iran at the start of the 21st Century. We welcome one of the leading women film-makers in Iran for an on-stage interview. An elderly widower falls in love with one his employees. To Whom Will You Show These Films Anyway? Bani-Etemad continues to explore the impact of socio-political issues on the working class. The film retrospective is part of a season of events celebrating Bani-Etemad's work that includes a fimmaking masterclass led by her and a conference, both at the School of Oriental and African Studies where she will also receive an Honorary Degree for her contribution to World Cinema and her examination of Iranian culture and society.